Does Bee Pollen Aid Age Reversal? 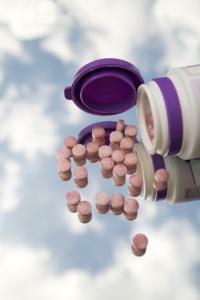 Learn about vitamins and supplements through slideshows. Vitamins slideshows will help you learn more about the amazing world of vitamins and supplements. Every day, new research demonstrating the power of vitamins to help and heal hits the news media. Searching among the hundreds of new studies and findings is tough, but Vitamins Slideshows will guide you through many interesting and engaging topics. First you'll find an array of vitamins slideshows separating myth from fact about various vitamins. Learn Facts About Iron, Facts About B1 Vitamins, and many more provide details on various vitamins and minerals. Each provides a photographic guide to help you understand the particular vitamin or mineral, its effects upon the body, and known uses. Two common areas of concern include vitamin deficiencies and side effects of supplements. While vitamin deficiencies tend to be rare among people living in industrialized nations, they can occur, so knowing the side effects can help you bring it the attention of your health care provider or help you choose the appropriate supplements. And as with anything, too much of a good thing can be harmful, so understanding the various side effects of vitamins is essential. Lastly, these vitamins slideshows will help you choose a healthful diet to include foods rich in various vitamins. From vitamin C to K, antioxidants to zinc, colorful pictures will help you choose a diet rich in vitamins, minerals and nutrients. So here's to your good health! Start your journey into the fascinating world of vitamins and supplements here.